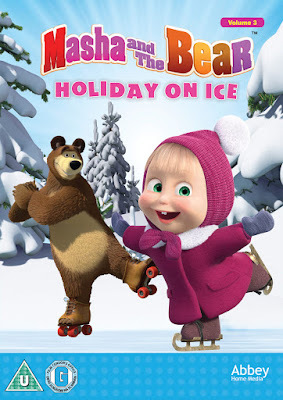 My girls recently have become a little obsessed with Masha and the bear. I honestly thought it was Marsha until they both kept correcting me. They discovered the show through YouTube and it is one of those series that they keep going back to, despite the first few times they watched it the language was in Russian. The game is educational in that it can teach colours, shapes and numbers. You solve the puzzle via the interactive pen which makes a sound when you select the right answer. Whilst my youngest has not played the game yet, as I have wrapped it up for Christmas, I have had rather a lot of fun playing with the game. Obviously the game was simple for me to do but I still liked how it would appeal to my daughter. 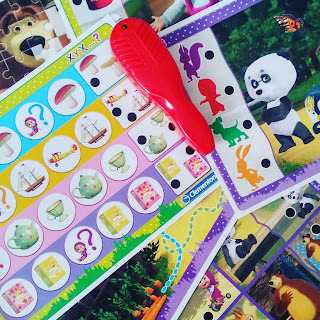 Bright colours, colourful graphics and the characters she loves from Masha and the Bear. I am looking forward to seeing her face on Christmas day. 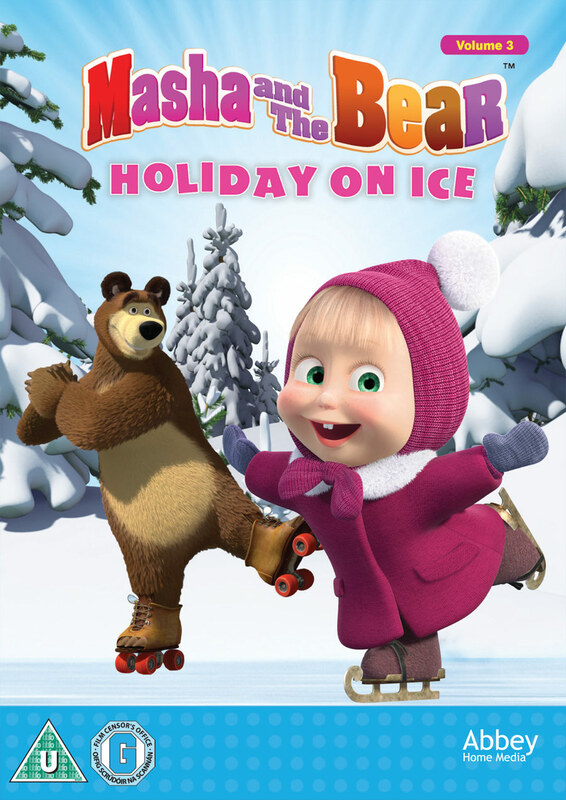 Earlier this year Masha and the bear launched their first DVD, and they are back again with a festive DVD. I have also watched the DVD without the girls as it is going to be a treat for my eldest on Christmas eve.